Detailed information and reviews of Texas firms offering legal and financial services, accountants, insurance companies, mortgage companies and law firms. Post your requirements and receive no obligation price estimates and quotes. Truck repair - Need $2000 loan to fix truck to drive to work. 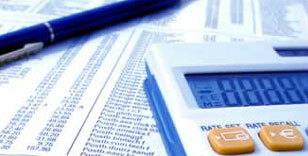 Need a personal loan to pay off some bills - Need a personal loan of $1000.00. I am starting to fall behind and need to get back on top. Isuzu bus - Need a quote for temporary insurance for a commercial Isuzu bus. Car loan - I have 2005 cad. cts need $3000-let me know if you can help. Pool liability - Single Pool liability, nothing else, no combination with other insurances. Personal Loan - I would like to get a quote for 900.00 dollars. I would like to pay it in monthly payments.